My name is Joel Styles, I’m one of the founding directors of Prideful Sloth; I’m a graphics engineer by trade – usually, I’d be the person responsible for all the visual systems and rendering tech but on Yonder I wear many hats between art direction, art creation, and programming. 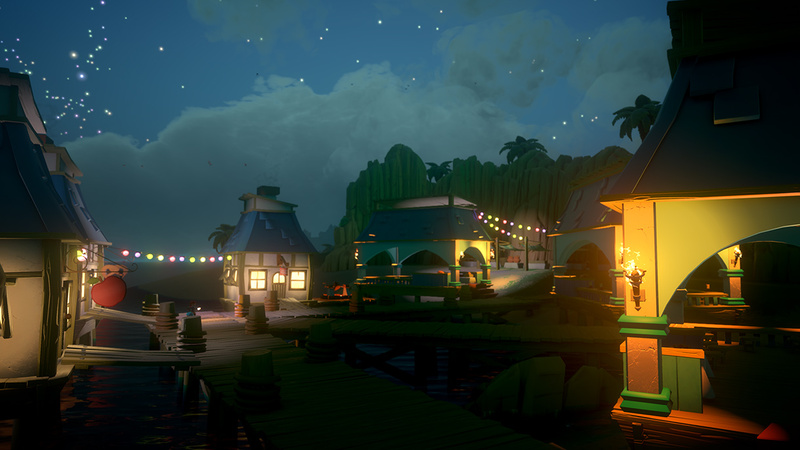 Yonder takes place in the island kingdom of Gemea. This kingdom is a condensed little world. 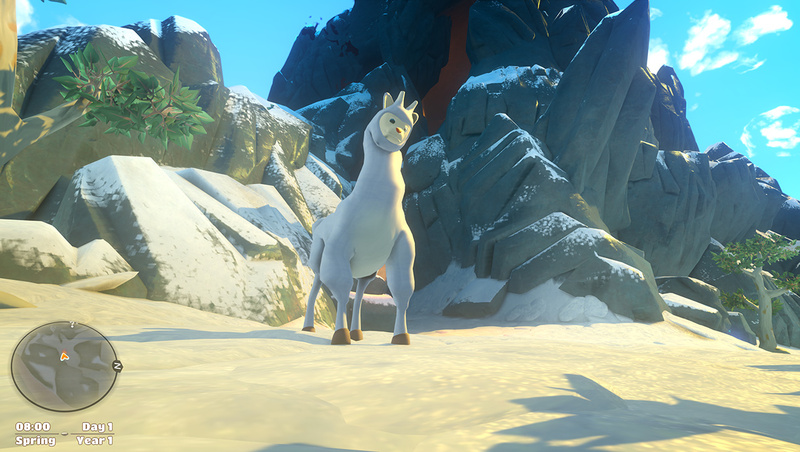 The environments range from pristine meadows to tropical paradises, and icy tundra to scorching desert. 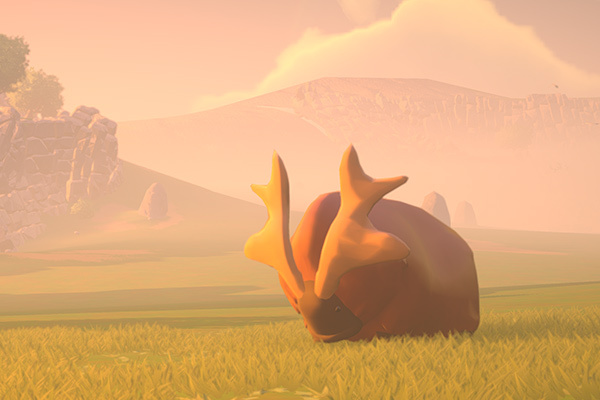 Each biome has unique flora and fauna, weather patterns are different, and even the biodiversity of insects you can hear are specific to each area. 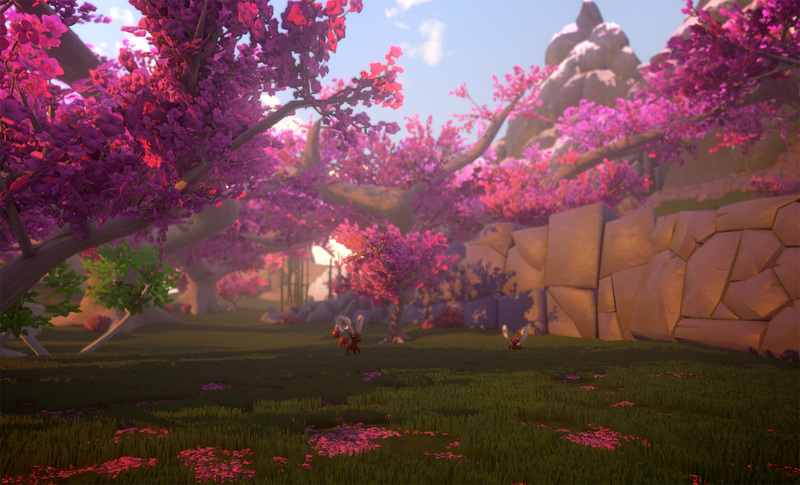 The fun thing about these environments are that they change; seasons color the areas differently as time progresses, and foliage thins or thickens. Animals hibernate. Trees grow over time, and some lakes or ponds may freeze over. You may not notice them directly, but these are just some of the little things that make the world that bit more alive. My favorite is the Farty Fen. It’s a micro-environment in Hearthwind Vale, inspired by the squelchy gassy goodness of the Trapdoor claymation series. 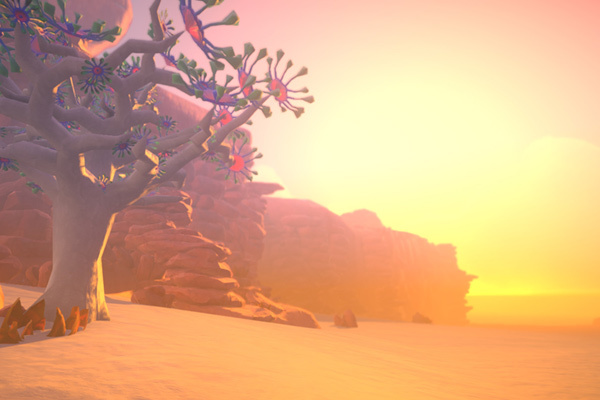 A lot goes into making any environment, even more, stylized ones such as ours. Layer on free-roaming and dynamic changes, and there’s a very long list of requirements. 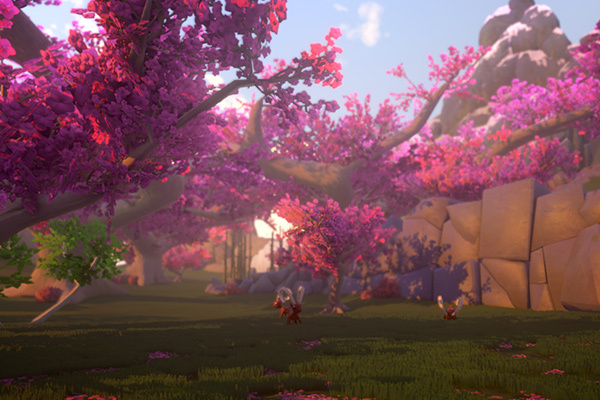 Some examples are: multiple levels of detail for keeping performance high, dynamic propagation of foliage and details scattered around as the camera moves through the world, unique vegetation that’s native to each area, different rock formations based on local strata, incidental details such as falling leaves, dust being picked up, and grass blades tossed around by the wind, and that’s not even getting into gameplay specific areas like choppable trees, fishing streams, local critters that react to the player, or NPCs and the human element. One important guideline was encouraging readability. 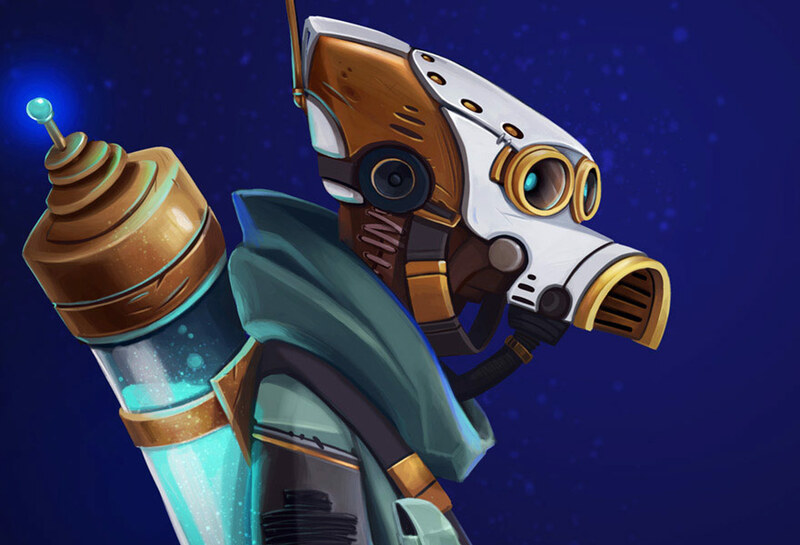 Our art style lent itself well to this and allowed us to focus on the overall art direction (the final image and feel) rather than get bogged down in the tiny details of each asset. The other advantage here was that we’re a very small team, so the majority of our decisions were made to encourage quality without sacrificing scope, so this helped immensely in this area too. So with readability in mind, there were multiple times when we went in and knocked out detail just so we could improve the player’s perception of the world. How easy is it for a player to discern their surroundings? How clear is their mental map of the area? Are they aware of the things we want to draw attention to? These are the questions that we were able to address in this way. 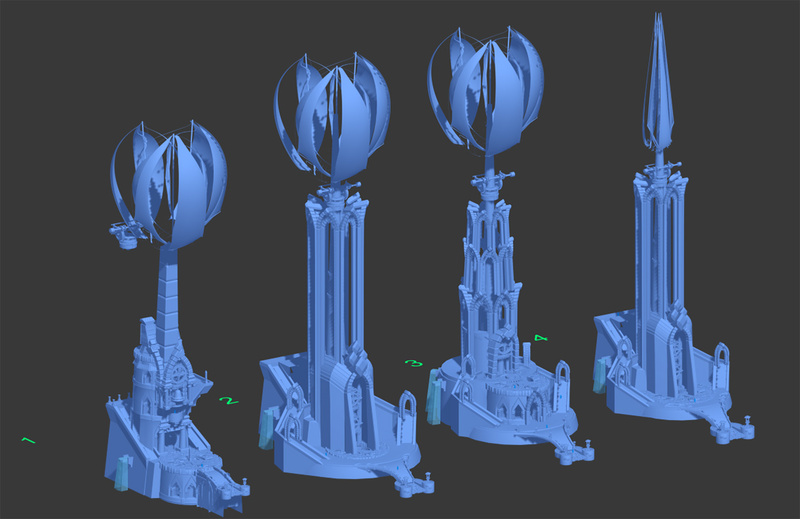 We start with a rough geographic sculpt of the whole world. Biomes are divvied up across this area, their placement informed by nature, but mostly based on the paths we wanted the player to tread. 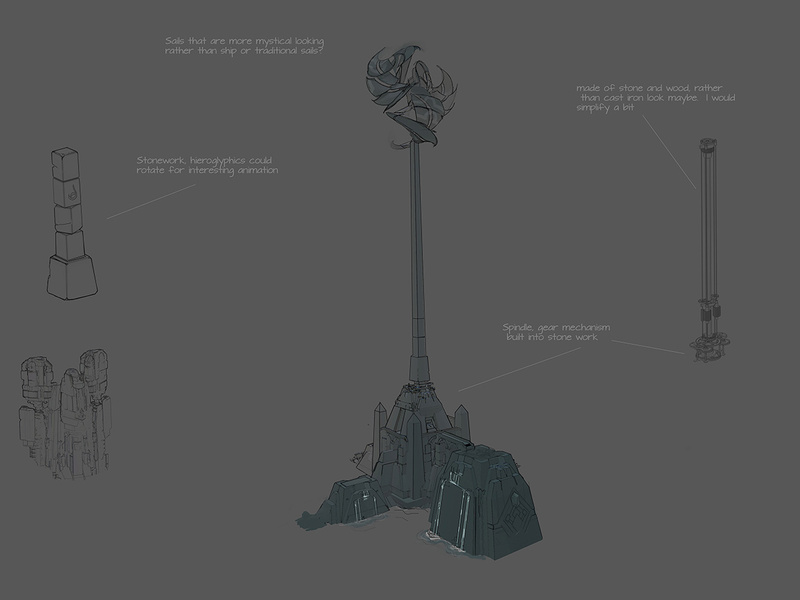 The most important step was building large mood boards to define the feel for each biome and key elements. An example is Dapplewood Forest. We defined a strong identity focusing on soft filtered light through autumn leaves, coupled with the vibrant feel of Japanese maple forests. 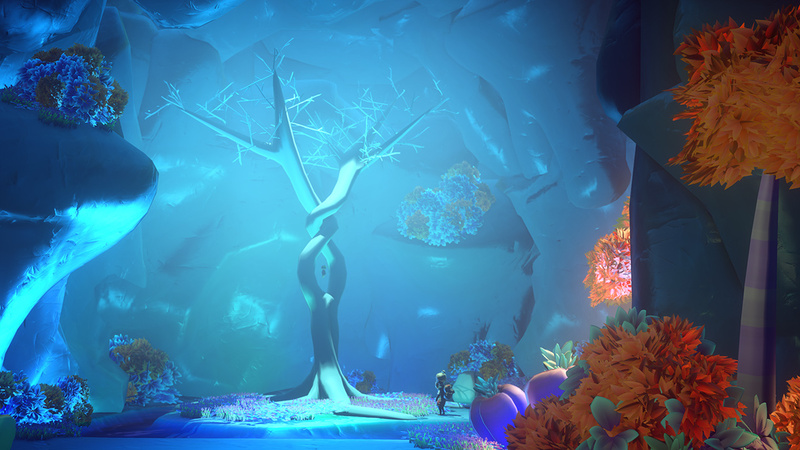 From this, we have a palette, mood, and any key elements that we want the biome to really emphasize. To build the biomes out, we create a list of highly re-usable assets; a cliff set with plugs and walls, a hero tree set, secondary foliage, and detail mesh such as grass and smaller stones to propagate. Using this basic set gets us 90% of the way to a fleshed out biome. After this we iterate in many passes, adding history to the environment like erosion, animal paths, and “historical events” such as a rockslide that may have happened ten years ago, or an abandoned house that’s overgrown. Early on we made the decision to condense our world. To pull everything into a more tightly packed experience. We believe that there’s a very bad trend in game development where developers equate quality to how many thousands of miles a game world is or how many hundreds of hours it takes to finish when in reality it equates to how many times we can repeat the same thing without causing players to put out a hit on us. 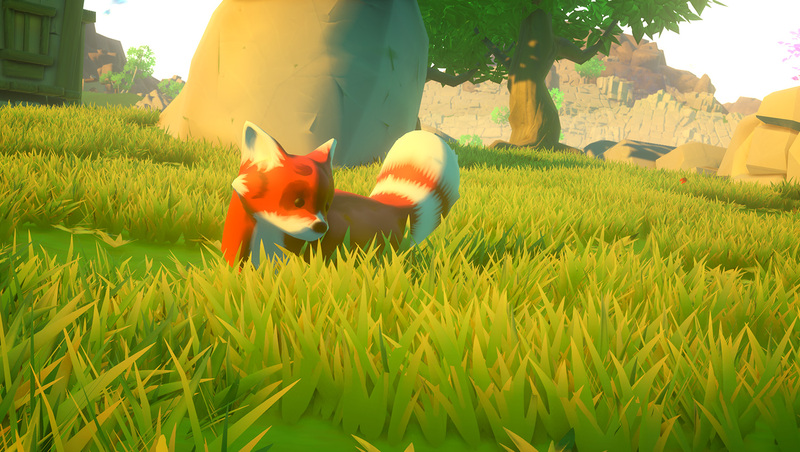 Instead, we wanted to strike a balance between an open world game full of exploration and discovery, while avoiding the feeling of repetition or vast empty areas that is common in other games. 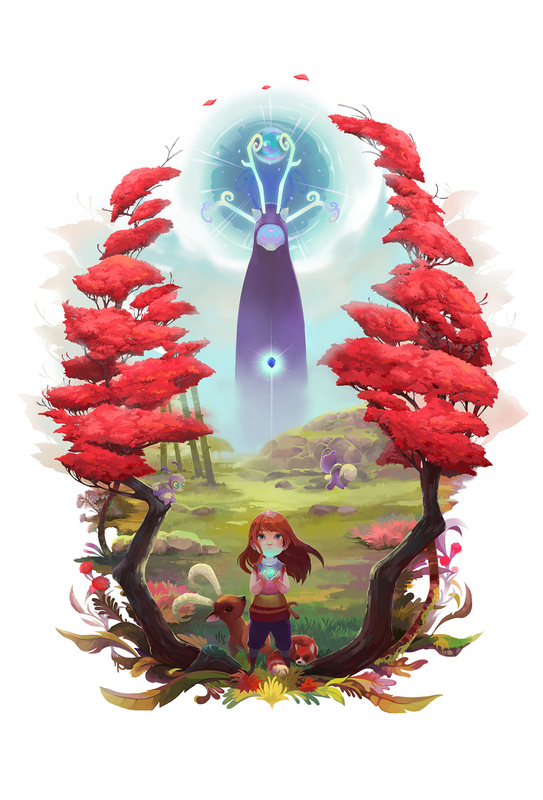 We wanted a game that is big enough to lose yourself in but is still enjoyable to play once you’ve done so. 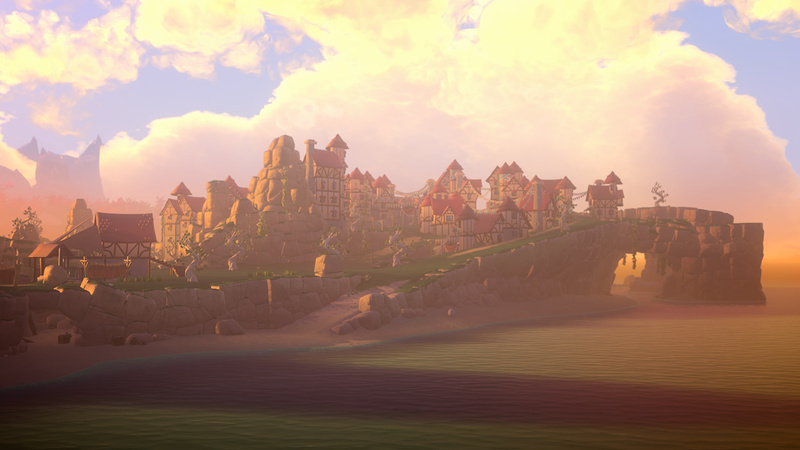 We could’ve easily made the game’s world three times as big. In fact, it would’ve made a lot of things easier. But it simply would not have been as enjoyable a world to run around in. 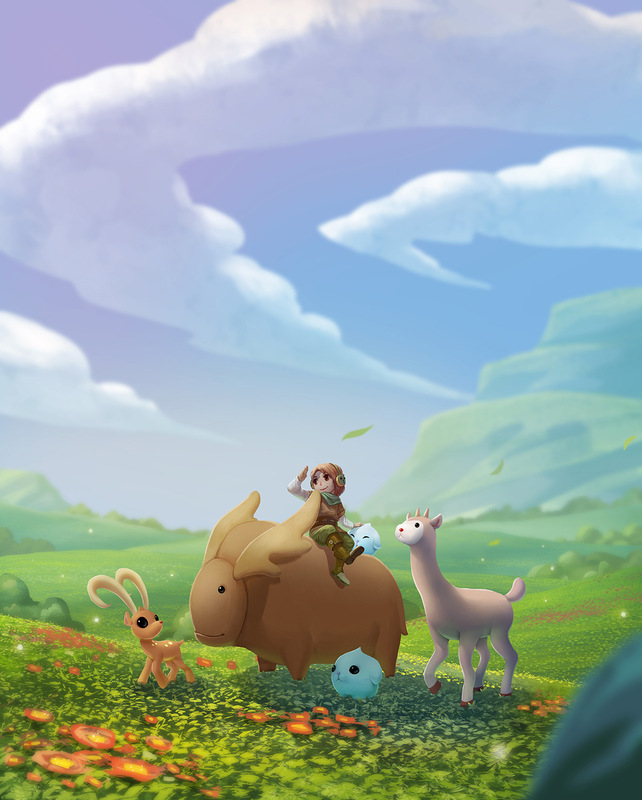 I’m Nicole Stark, and I’m an artist and animator on Yonder. A traveler in Gemea would encounter everything from European style wood and tile villages to yurts, caravans, villages carved from the stone wall inside a mountain, structures made of ice and floating huts. It was important to us to represent the variety and richness of the real world. There’s a lot of different places in the world with wildly different architecture. 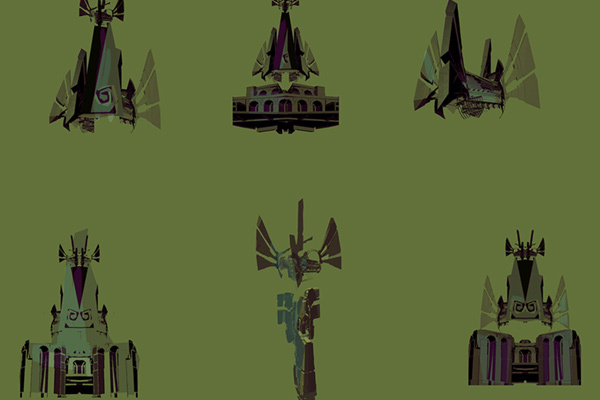 We tried to use elements from all of these and to match them to the climate of the biome they’re in. Instead of looking for inspiration by finding the most awesome thing at the time, we instead used the game world to direct us. What functions do you need in this climate? What impact does the cultural side have on the architecture? What materials are available to build with? How would the weather affect the needs of the people? This quickly informed us of the types of things we needed to consider, and lead us back to real-world inspiration to further cement and ground these questions with solid answers. Joel had developed a unique (and very charming) style when I came on board. 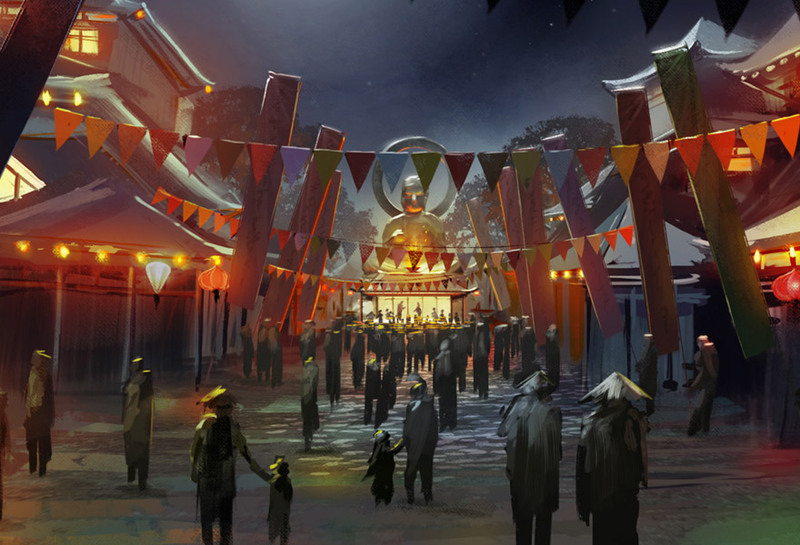 The challenge was adding variety and richness to the world while maintaining a cohesive style. At first, I found it difficult to hit “just the right amount of noise.” We kept the big shapes a little wonky and broke everything up with some serious wear and tear, but heavily suppressed the mid-range noise. 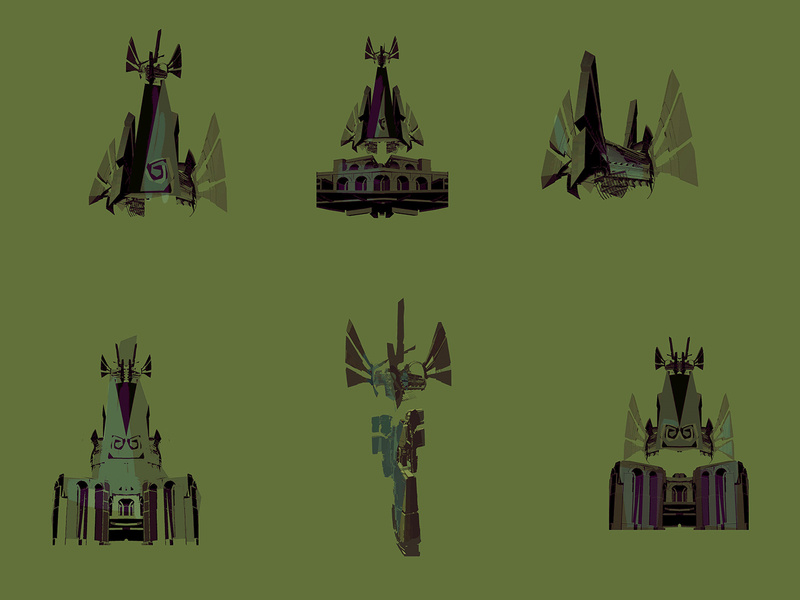 All buildings are endemic to their environment to match the people and their architecture; There are unique buildings that fit a character or quest requirement. We’d start by looking at the climate and at the materials that were available in the region and at the kind of buildings people made in parts of the real world that share these similarities. We’d build a “construction set,” a kit of basic pieces that we could re-use and modify to make all the necessary assets from. 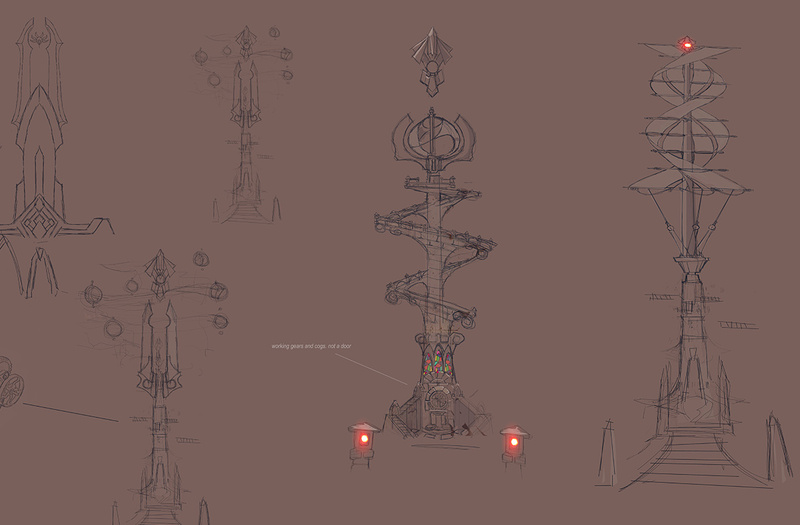 Once we had a base set of assets, we’d take these into the map and roughly plan out the town. At this stage, the map is a virgin wilderness; no person has tamed it. So we would quickly apply a few layers of human history onto the map, forming paths, leveling areas, and building up the physical impact of the people’s settlement. 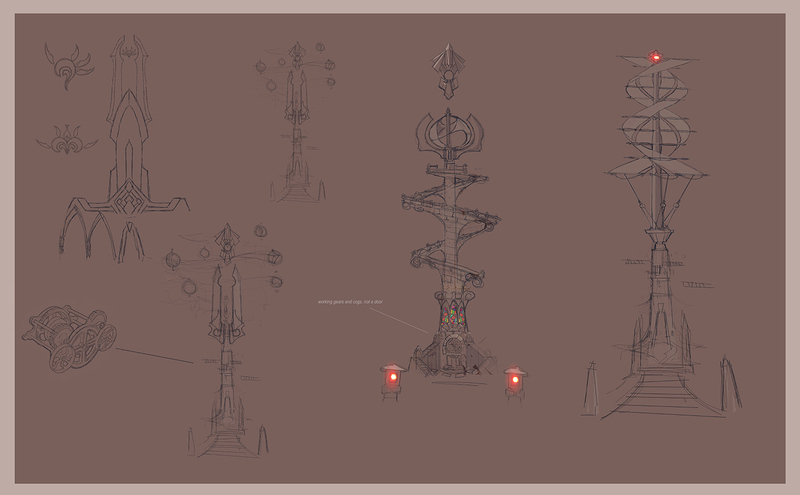 The last stage is pure iteration; we would do as many decorative and detailing passes as we could to add little touches and flare. Actually, I enjoyed creating each and every one of them. I love that they’re all so different and each has their own little wow factor. If I had to pick a favorite it would be the desert shack, but if I had to live in one it would be one of the mansions overlooking the ocean in Bobbintoff. My name is Jason Stark. I’ve worked in the games industry for two decades now in a wide variety of roles. I did lots of odd jobs on Yonder but I was primarily responsible for animation. At last count, I believe we have twelve or so major creatures, and dozens of minor critters like caterpillars, bugs, worms etc. We even have adorable versions of cats and dogs! 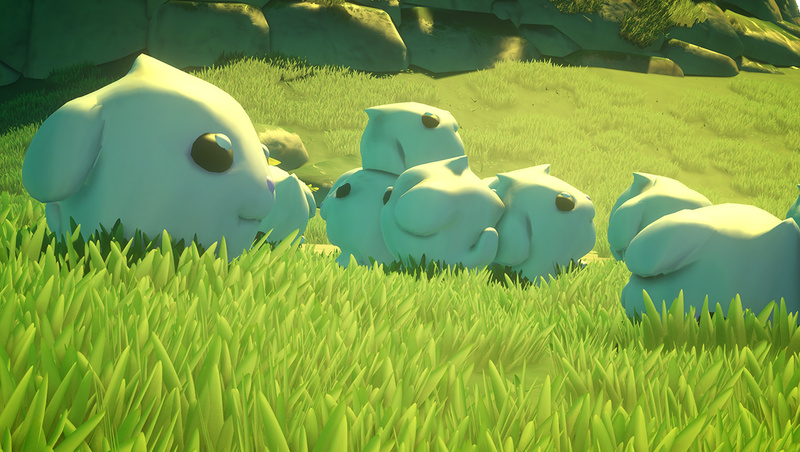 You’ll encounter Groffles, Fabbits, Squombles, Fernicorns, and a ton more. They’re unique designs that are pretty hard to describe with words. My favorite attempt was trying to describe a Groffle as, “a giant Moose-Hamster.” You really have to play the game to experience them. 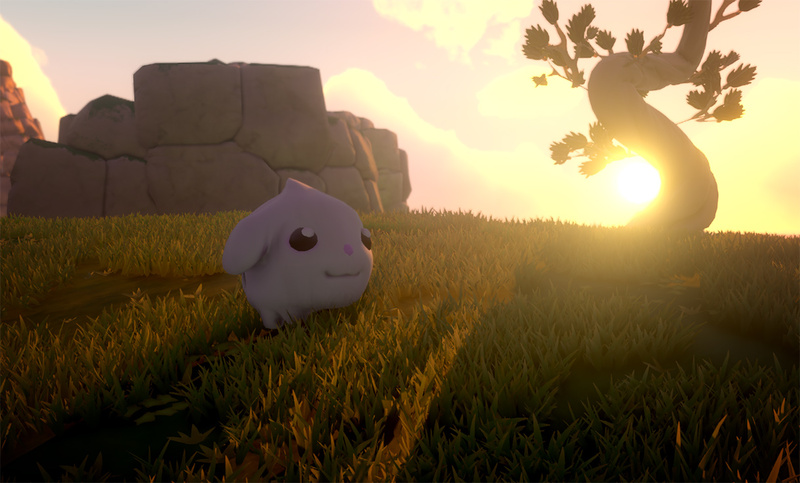 Every creature we set out to make ended up in the game. There was some which needed a few passes until we got them right, but in the end, we got even the most bizarre creatures working great. The biggest challenge was making all the animals look uniquely themselves, but still feel plausible, rather than a distorted version of a real-life animal. We want people to see a Groffle as a Groffle, not some weird cow. As with most games, the final thing is only a small window into the full design. There was a rainforest biome that would’ve been quite fun to build, but we ended up cutting it to focus on the others. We built a huge diverse world in a really short amount of time! Building the game has felt like falling at high speed through a rushing landscape. I’m very proud of how much we achieved and that we were able to hold on to any of our intentions from the beginning of the dev process. What was the most fun to work on? And got a favorite? The friendship interaction animations! 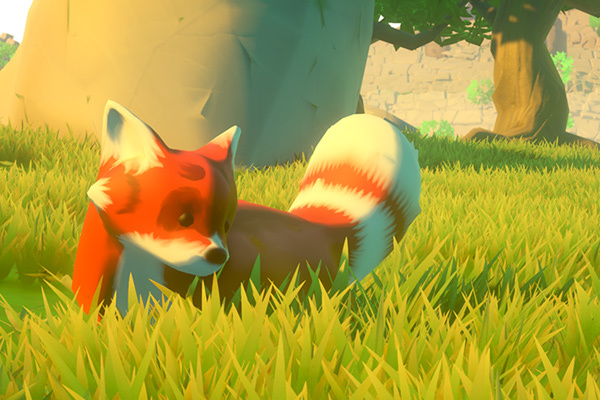 Getting all the creatures to scamper about and rub noses with the player was awesome fun to do. After all the work that goes into a creature, the best part is seeing it come alive at the end. For overall cuteness, I have to choose the Fabbit. It’s an implausible bundle of floppy cuteness which is totally adorbs. 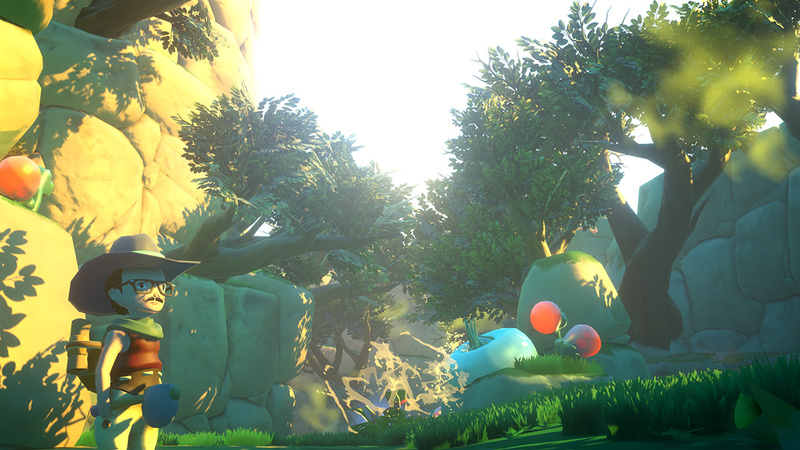 We thank Prideful Sloth for talking about the development process on Yonder: The Cloud Catcher Chronicles.